Dr. Irving Chao was awarded high honors and received his Doctorate of Dental Surgery degree from the University of the Pacific’s School of Dentistry in San Francisco. He continued to receive postgraduate training at UCLA School of Dentistry in areas of cosmetic dentistry, root canal therapy, implant dentistry and invisalign® orthodontics. 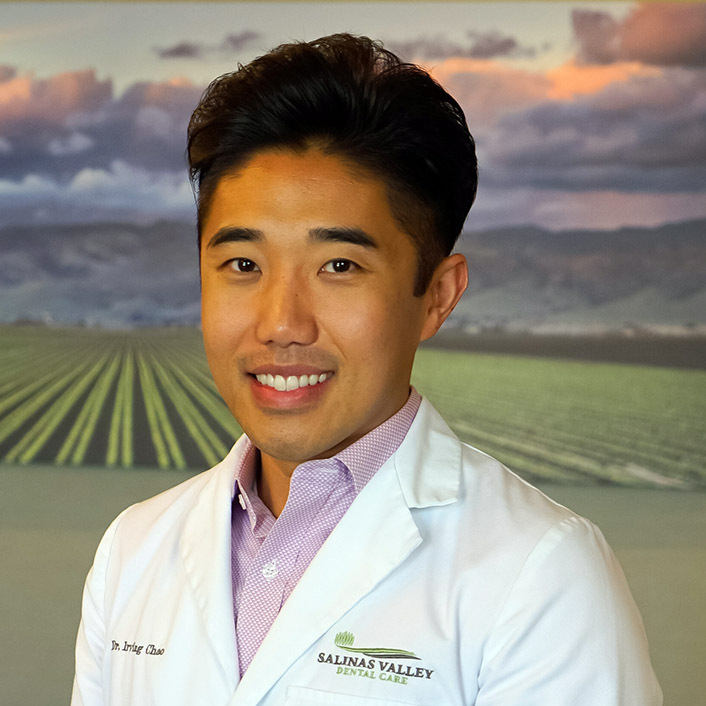 Dr. Chao is committed to giving back to Salinas Valley. He provides free dental care to the Elm Drug Rehabilitation House and is the Director of the Monterey Bay Dental Health Committee, organizing classroom dental presentations throughout the county. Dr. Chao takes pride in his work and is very patient and gentle. In his spare time, Dr. Chao loves to ballroom dance and hike with his two dogs, Tasha and Louie. 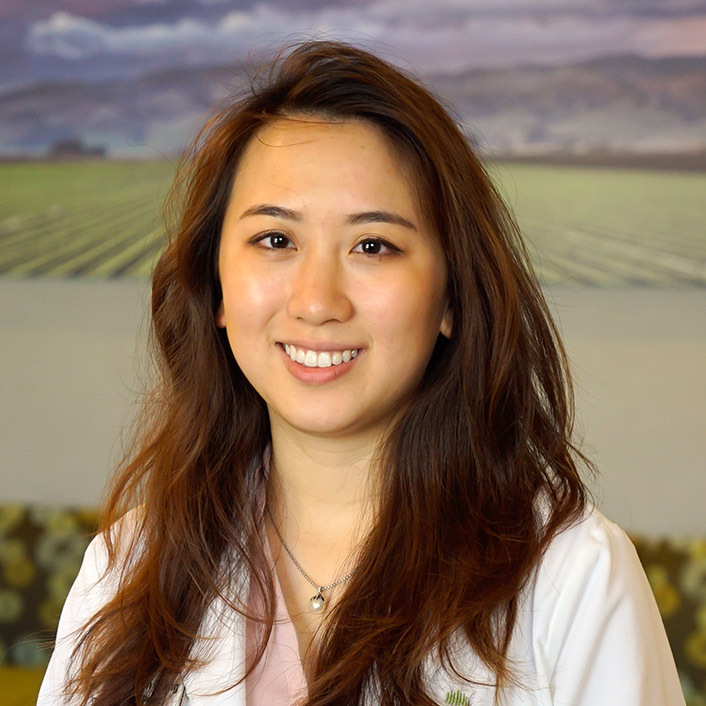 Dr. Ngoc Bui received her Bachelor of Science degree from UC San Diego and Doctor of Dental Medicine degree from Western University of Health Sciences in Pomona, CA. To further advance her education and skills set, she went on to complete a hospital-based dentistry residency at the VA Medical Center in Palo Alto, CA. During residency, she had the opportunity to serve our veterans with personalized, gentle and the highest standard of care. Dr. Bui has always been passionate about giving back to her community. She dedicated much of her time serving both locally and abroad by managing a mobile free clinic in San Diego County and volunteering on humanitarian trips in Indonesia, Timor Leste, and Mexico. In her spare time, she enjoys catching up with friends over yummy foods, hiking new trails, and playing tennis. 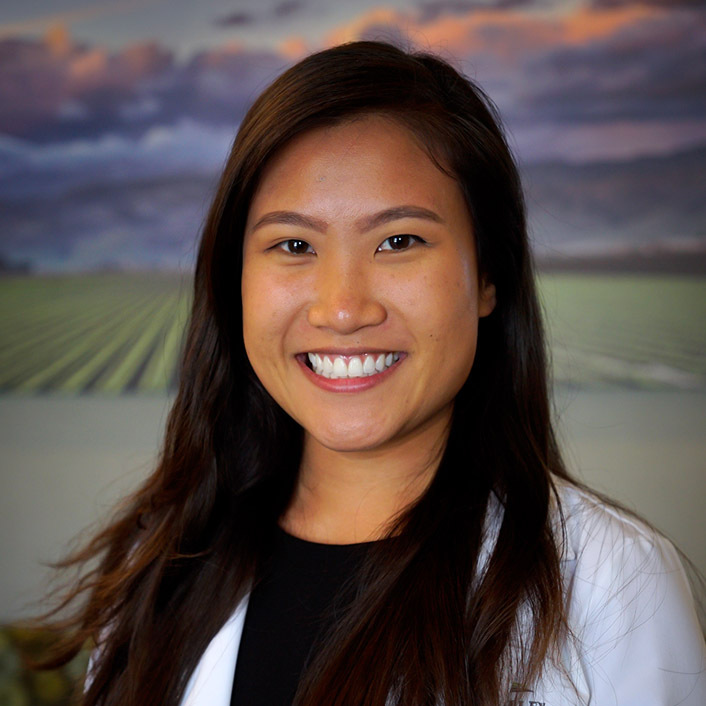 Dr. Madeline Nguyen received her Bachelor of Science degree in Biological Sciences at the University of the Pacific in Stockton, CA and Doctorate of Dental Surgery degree from the University of the Pacific's School of Dentistry in San Francisco. Dr. Nguyen enjoys developing relationships with her patients while providing them with comprehensive dental care. She is committed to providing high quality service to help her patients reach their dental goals. Outside of work, she enjoys traveling and exploring new places with her friends and family. She also loves trying new food, hiking, and staying active. Dr. Carolyn Chang received her Doctorate of Dental Surgery degree from New York University School of Dentistry with honors in removable prosthodontics. 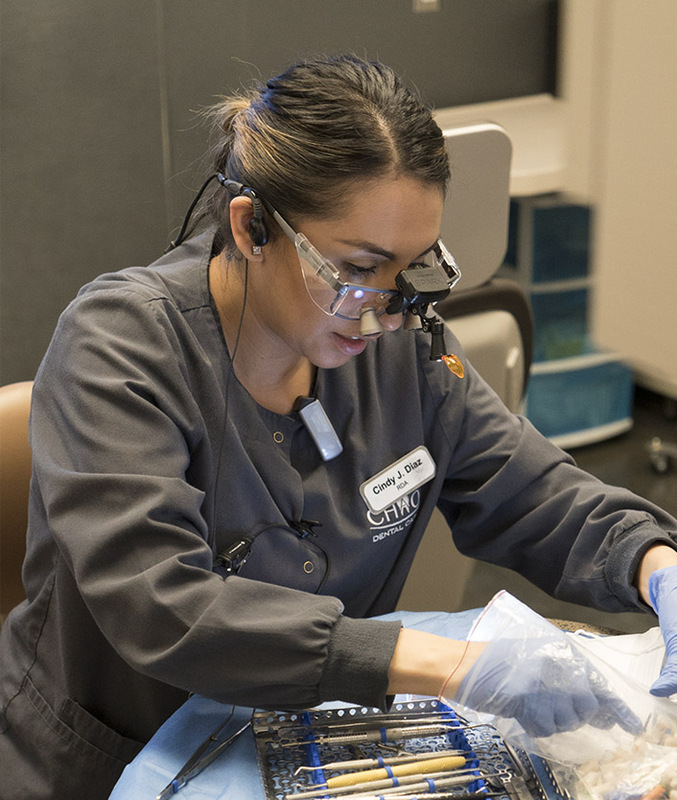 She completed her residency at the VA Medical Center in Palo Alto, CA, where she was able to further enhance her skills in implant dentistry, oral surgery, and prosthodontics, while being able to provide the best care for our veterans. Dr. Chang is passionate about delivering the highest quality dental care to her patients and is actively pursuing continuing education. 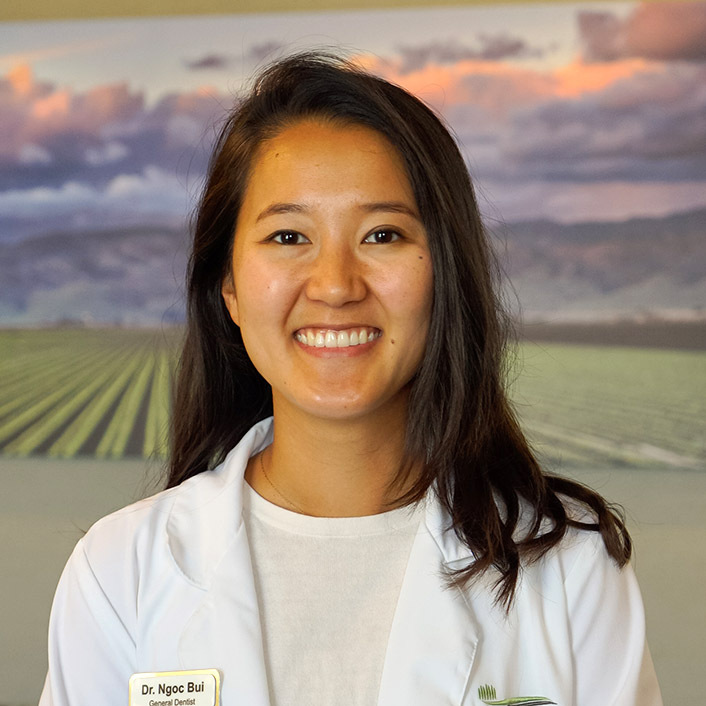 She is currently an active member in multiple dental societies including: Academy of Osseointegration, California Dental Association, and the Santa Clara County Dental Society. Dr. Chang enjoys traveling, spending time with friends and family, and watching cooking shows in hopes that one day she will become a Star Baker. Our patients deserve the best dental care. We use the highest rated materials and the most effective techniques to ensure that the work we deliver remains comfortable and beautiful for years to come. We stand behind our work and guarantee its longevity for all of our active patients. A visit to the dental office can be stressful. This is why patient comfort is our top priority. We provide warm blankets, warm towels, and refreshments. Want to watch Netflix or listen to Pandora during your treatment? No problem. For patients who have anxiety, we offer various relaxation and sedation options to put them at ease. We go the extra mile so you can feel safe and happy with your dental visit. Our modern equipment, including digital x-rays, intraoral cameras, and 3D scanning and printing, allow us to deliver better accuracy, comfort, and results. No more gooey trays or temporary crowns that break or fall off. You can even keep track of information on our online portal, sign forms on our iPads, and receive text message appointment reminders. Tired of being referred out to other offices for specialty services like dental implants, wisdom teeth extractions, root canal therapy, or orthodontics? We have our own team of highly-skilled specialists who can take care of all your dental needs under one roof. This allows us to provide better comprehensive care and save unnecessary trips to other dental offices. Everyone is busy and cannot always take time off during the week to receive dental care. This is why we offer late evening andSaturday appointments to accommodate busy family and work schedules. We also have ample parking at a central location that is easy to find. All patients should make an informed decision regarding their own oral care. We take time to educate our patients with 3D models, animations, and videos, so they understand their treatment options and the current condition of their mouth. Together with patients, we discuss long-term goals and help design a path to achieve the healthy and beautiful smile they have always wanted.